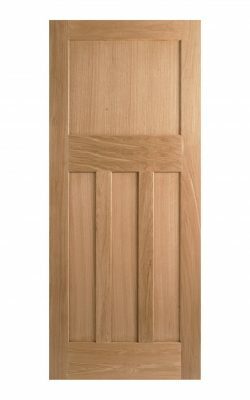 1930’s Oak 4 Panel Glazed Internal Door. 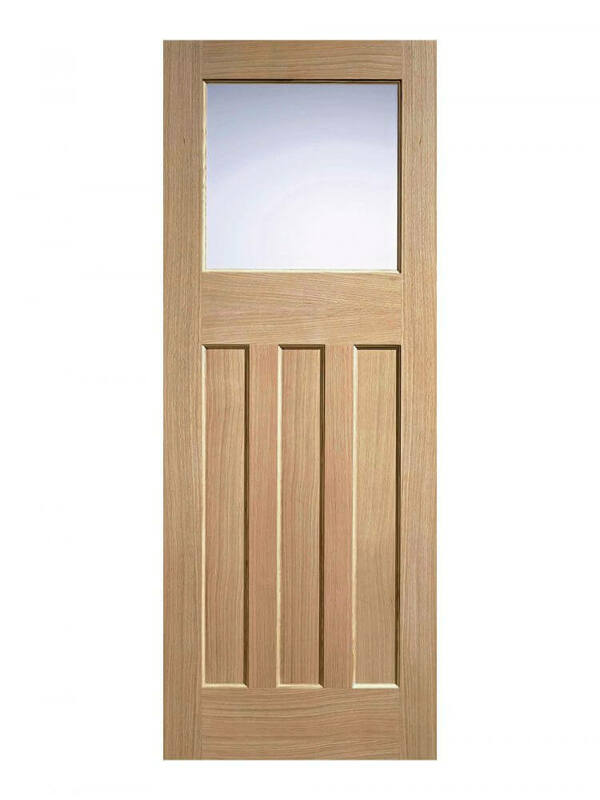 Our range of 1920s and 1930s doors are extremely popular both in properties of that era or in newer homes where they create a warm, nostalgic feel. A door that portrays a distinctive era of craftsmanship. It features a single panel at the top and 3 vertical panels for that distinctive 30s look. It is also an FSC certified door. A masterclass in 30s style doors. The glazing in the top panel is Frosted. In this way, it will lend light to otherwise dark halls and landings but also give privacy where required. 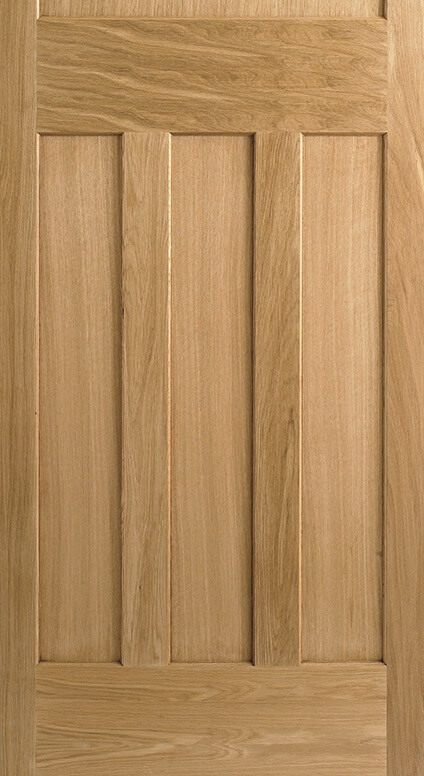 This White Oak door is engineered with solid timber cores overlaid with A grade veneers. 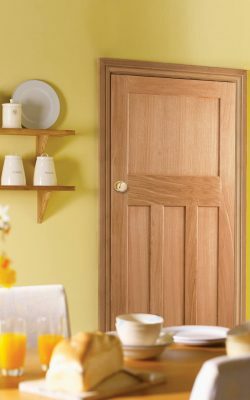 Engineered doors are very stable and will limit warping, splitting and small changes in size with the seasons. Furthermore your new door comes with a manufacturer’s 10-year warranty. 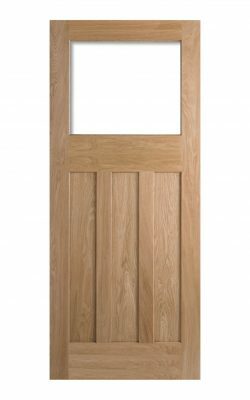 This door is also available in a fire door (FD30) version, a standard 35mm version, or an un-glazed top light version. Dining room, living room, kitchen, bedrooms and bathrooms. Again, the classic simple design offers a rich style to both period and contemporary designer interiors. A distinctive Thirties look, the ‘three over one’. This 1930’s door has a large square frosted glazed panel over three vertical timber panels. There is a subtle chamfered edge down into each panel. An Un-finished, engineered door which is ready for your choice of final decoration . It has an engineered, solid core (weight up to 28kg). Also it has 10 mm lippings all round the edges. 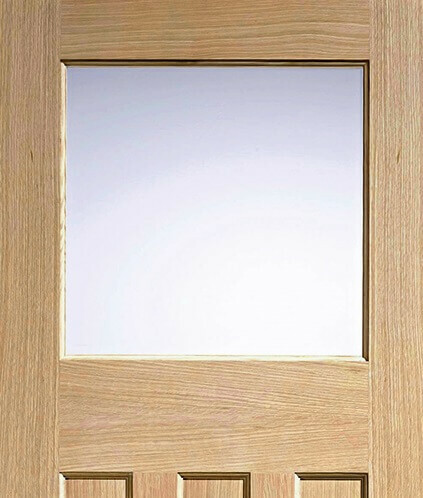 You can make adjustments to these standard 35mm doors of up to 6mm into the lippings on all sides. So making it a perfect fit for new and existing door frames. 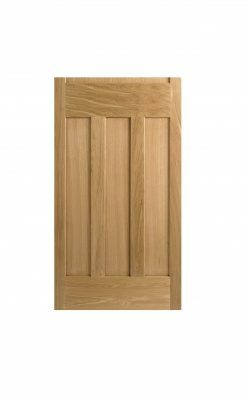 We can supply hinges, door handles, frames separately for the installation of your 1930’s Oak 4 Panel Glazed Internal Door. We recommend a minimum of three hinges for this door. Seek specialist advice on which areas might require upgraded fire doors. Also, your architect or local building control officer will offer advice.